Our 7.5 tonne tipper grab comes with a choice of atlas, epsilon or HMF cranes, and can be hired out for short term or long term jobs. We can either deliver your choice of tipper grab hire or you can collect it from us, which ever is most convenient for you. Please see the information below and the attached PDF for details on this particular tipper grab hire. Fixed sided heavy duty tipping body. Choice of atlas epsilon or HMF cranes. Full ‘Chapter 8’ high resolution reflective to rear chevrons. Amber beacon bar to cab roof. 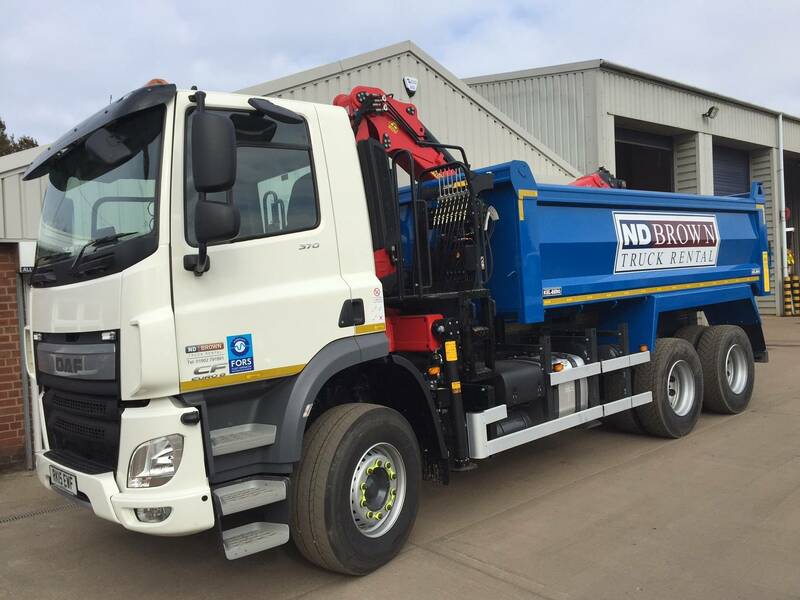 Long and short term tipper hire with N D Brown. Delivery/Collection service available for tipper grab hire. New and used vehicles also for sale from stock. Grab hire can be an essential part of your fleet, providing easy lifting and transporting for heavy goods. We regularly provide grab hire to the utility, civil engineering, municipal and highway sectors and can tailor your hire package to your requirements. 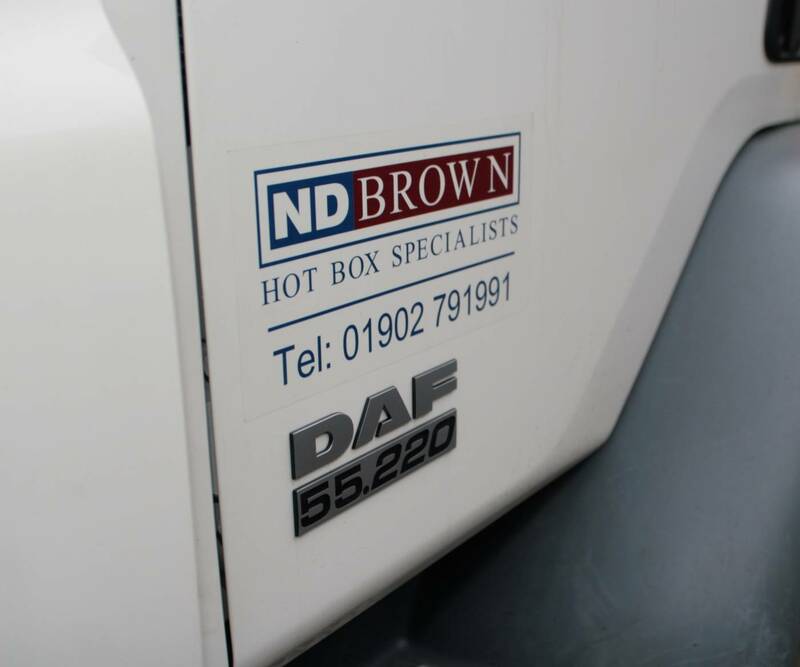 All of our grab hire vehicles are maintained to the highest levels to ensure that the vehicles are in full working order over the hire period.